I am a big Dog lover. They are definitely a part of my family. 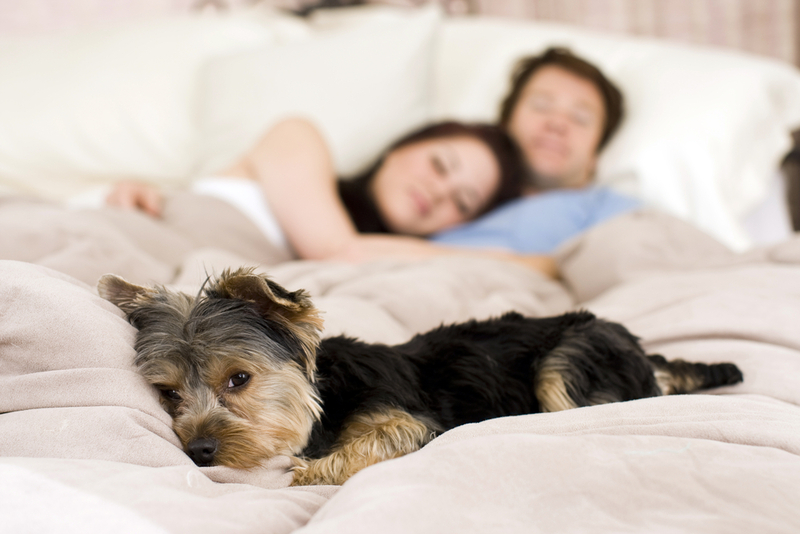 However, if you have been trying to have a Baby and it is not happening as quickly as you would like, make sure that your beloved Dog is not sleeping in the same bed with you and your spouse. Big or small, Dogs have been “Guard Animals” for centuries. They have a highly protective nature and are vigilant in their desire to take care of us. When “attracting” the New energy of a Baby into your life, the Dog’s Energy may be a bit too strong. When you are trying to “bring a Baby into this world” make sure your Dog is sleeping on the floor. Give your “Puppy Baby” it’s own nice bed. They can be near your bed but just not “In It”. If it is not too upsetting for the Dog you can even try putting them outside of the bedroom in their own bed. Even better!